80 years dates back to 1934. St. Filippo Dormitory Foundation was established. 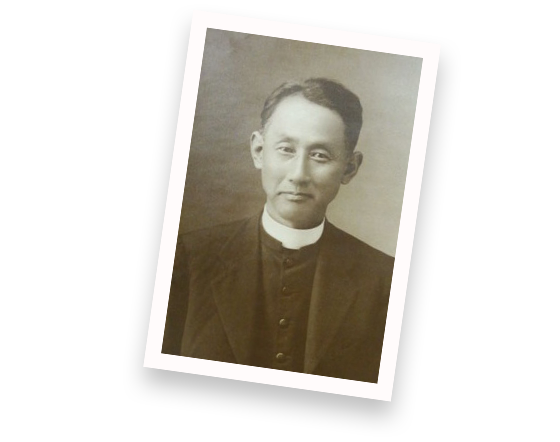 With the establishment of St. Filippo’s Dormitory for students, Father Iwashita started his Catholic lectures. The dormitory was torn down due to forced evacuation. A temporary shed, called the Shirobato Dormitory, was built. 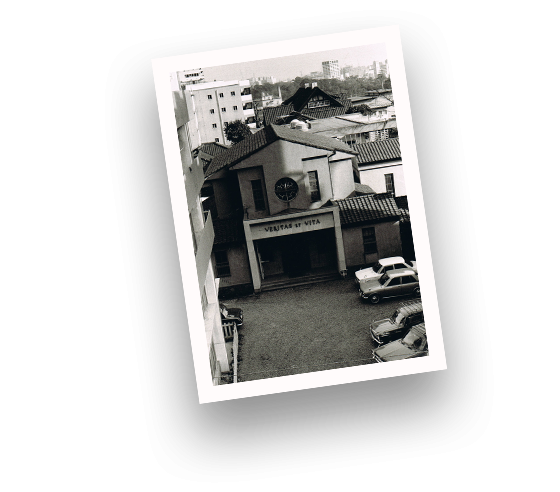 Japan Catholic Students Federation was formed. 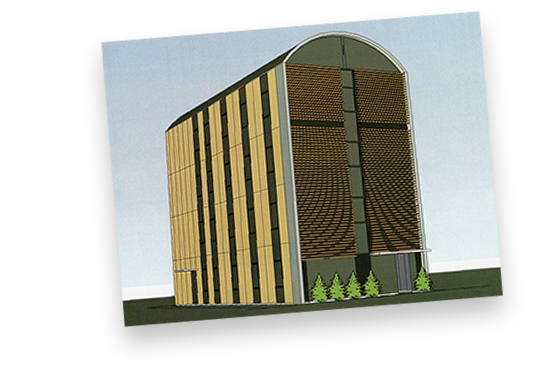 A decision was made to tear down the student dormitory to build a student culture center (Shinseikaikan). Fund-raising began (funds totaling approx. 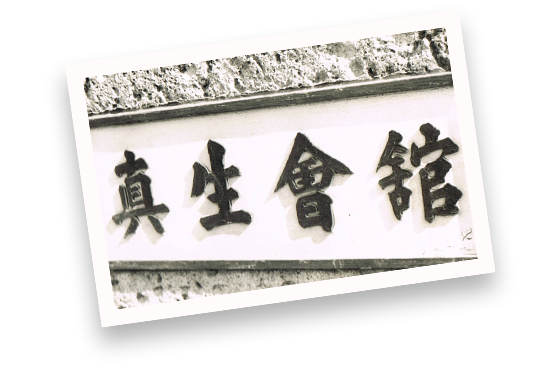 21 million yen were raised by November 1952). Shinseikaikan was closed for rebuilding and a temporary office was set up at 2-6 Kojimachi. The Shinseikaikan Bldg. was completed (the building was entrusted to Mitsubishi Trust and Banking Corp. and a part of it was leased to a third party). The Culture Course “Shusaku Endo’s Image of Christ” began. The Catholic Education Study Group was launched. The first symposium was organized. The first Southeast Asian tour (South Korea, Hong Kong, Thailand and Taiwan) was organized. The first national Catholic student seminar was organized. The Bible class, reading club, Thomas Aquinas study group, etc., were organized. A “gathering to think about Shinseikaikan” was organized. The Shinseikaikan debate, “Students and Daily Life,” was organized. A general assembly of the “gathering to think about Shinseikaikan” was organized. The Bible Center was inaugurated. Father Marcel Le Dorze’s “The Bible in 100 Weeks” was continued at Shinseikaikan. A mass commemorating the completion of repair work was held. The Bible Center began issuing “Materials of Lord’s Day Gospels” (ended in May 2014). The Lifelong Learning Center was inaugurated. 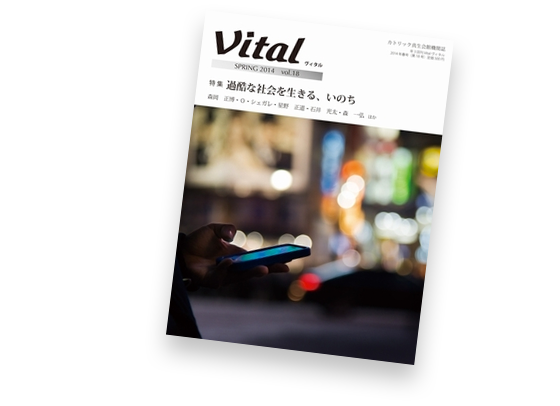 The in-house publication, Vital, began (ended in May 2014). We began rebuilding the Shinseikaikan Bldg. and examining the possibility of offering part of the site to Sophia School Corporation. We began accepting donations to the rebuilding fund. Shinseikaikan was temporarily closed for preparations for rebuilding and began carrying out activities outside the facilities. We reached an agreement with Sophia School Corporation on building a new Shinseikaikan along with Sophia’s student dormitory on the site. Demolition of the Shinseikaikan Bldg. began. The rebuilding of the Shinseikaikan Bldg. was completed.